Keyed bolts (one on the top part of the door one on the bottom of the door)Ok so you may have seen that little list on your insurance renewal but what does it all mean? Above are two night latches. 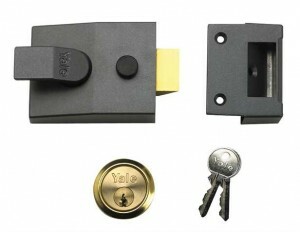 The gold one is a British standard lock and the grey is just a basic night latch. If any of your doors have none of the above please call today for a free security and crime prevention check. GPM Locksmiths in Milton Keynes 01908 483464. 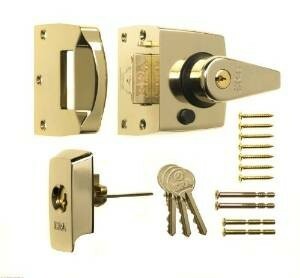 GPM Locksmiths in Bedford 01234 731362.